The Rosengart Collection is Lucerne’s newest museum addition and houses the extensive and once private collection of Angela Rosengart, a Swiss art dealer and good friend to the famous Spanish painter Pablo Picasso. Rosengart, who has collected one of the biggest private art stashes of the classical modernist era, wanted to make these paintings, which would normally just be passed from one private collector to the next, more accessible to the public. The museum, which now draws art lovers from all over the world, has earned international recognition for its focus on the works of Pablo Picasso and Paul Klee, a Swiss German painter famous for his unique style of cubism, expressionism and surrealism. While the Klee collection consists of 125 watercolor pieces, paintings and drawings showing the artist’s whole career, the Picasso part of the exhibition mainly focuses on his older works that were created after 1938, with a couple sketches from earlier eras thrown in to compliment the paintings. A third floor houses more than 20 other world famous artists of the impressionist and classical modernist eras, such as Monet, Matisse, Miró and Léger. 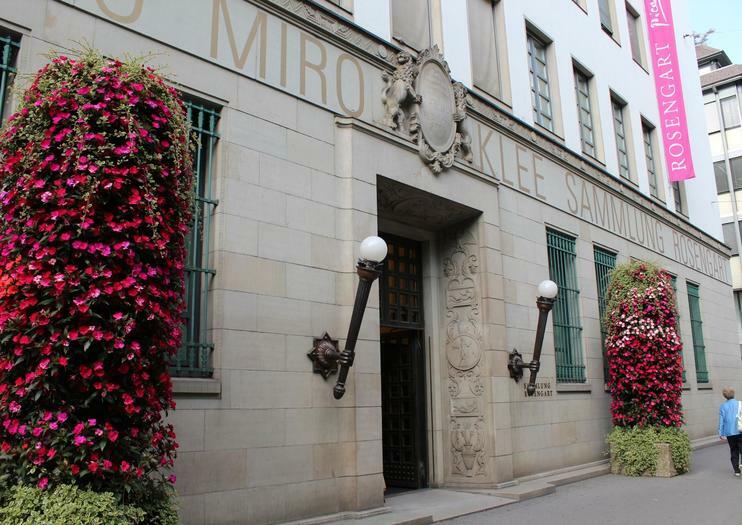 The collection is located in the center of Lucerne in an empire style building originally constructed for the Swiss National Bank. The simple but well-built palazzo is a fitting place for the museum, as the neo-classical structure was built in the same time period when many of the great pieces of art it houses themselves were created. The inside is an interface between old and new, with high walls and an open floor plan to give the art more than enough room to breathe. Some more light sensitive works have even found their home in the old bank vaults. The Rosengart Collection is located in the very center of Lucerne and you can easily reach it on foot from the train station in about three minutes. If you arrive by bus, get out at the Kantonalbank stop. The museum opens daily and you can visit it from April to October from 10am to 6pm and from November till March from 11am to 5pm.